Observation - New toy test - UK and Ireland. Description: Playing with the camera on my new toy (iPad mini) to see if it is any good for wildlife recording. Not impressed so far. I'll leave this noctuid unidentified (although I know what it is) to see if people think the picture is adequate. Playing with the camera on my new toy (iPad mini) to see if it is any good for wildlife recording. Not impressed so far. 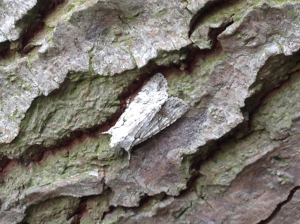 I'll leave this noctuid unidentified (although I know what it is) to see if people think the picture is adequate.